"P B & J on a Paper Plate"
Drum roll, please! This is my final piece in my Kitchen Counter Series heading to Taos, NM this weekend for my very first Taos show at the Trading Post Cafe & Gallery. I finished it yesterday, just got a scan and have it's frame ready and waiting. I like to mark the occasion of finishing a series with something special. My last Kitchen Counter Series was concluded with a very fancy still life of strawberries in a silver bowl. This time I thought I'd go the opposite direction and have the finale piece be something everyday, ordinary and loved by nearly everyone. Come on. 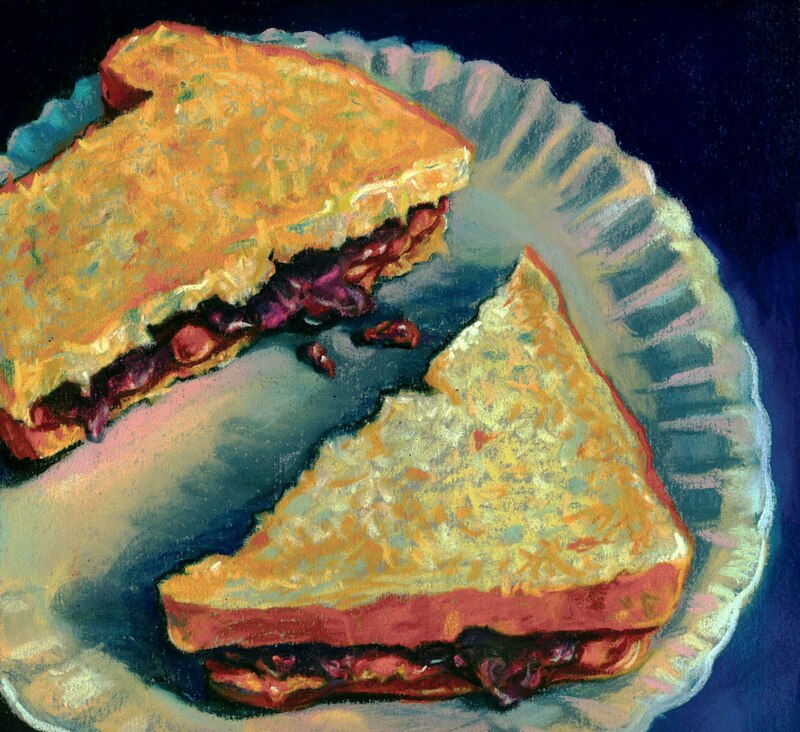 What's a better comfort food and a true favorite from our childhood than a peanut butter and jelly sandwich. In fact, I actually ate half of my subject matter before I even started the painting.